In this book we follow two stories that find themselves intertwined in the beginning it's the story about Abby and her daughter Paige as they have left their home to move into a more affordable home. Abby has just finalized her divorce from her ex-husband Patrick and finding starting over hard and also trying to reassure Paige it will be ok.
Richard has realized his marriage was missing something and since he wasn't able to fix it with his wife, he has realized that he had no option left but to divorce her. Luckily they didn't have kids to complicate the matter, when he goes to a party hosted by his friends he bumps into a girlfriend from when he was a teenager, Abby. Abby and Richard try to rekindle what they had but find this is harder with Abby's daughter who is not even giving Richard a fair shake so afraid that he will mess up her relationship with her mom. How long can Richard stick around with a girl wedging her way in-between him and Abby? This was a great book, it reminds me so much of why I love Steven's books they remind me of Nicholas Sparks on so many levels. To see a guy write a great romance and be able to delve into female emotions and angst is great. He continues to amaze me with the characters he creates and how they find their happily ever after. This was so good I couldn't put it down for a second! Definitely a keeper of an author and I'm such a huge fan of his. As long as he writes books I will be a die hard fan! Keep up the good work. In this book Bennet and Belinda are having issues as the last case Bennett took the fall for what happened to Belinda and the two are sort of fighting about it. Also Belinda's grandmother throws an ultimatum at Belinda which has her even reeling more. In the beginnning of the book is a dead body which seems to be the case with every cozy book. The victim Elena was found dead at one of the houses she cleans for a living and Belinda gets contacted by a local news reporter to help snoop around to find out what is going on, also with a hint of something about another reason that Bennett retired from the police force then just what Belinda knows. Upon investigating the situation she learns more about the victim then she knew and about a rash of stolen property being takin from their owners when Belinda catches a burgular in her own house and finds her cameo stolen now Belinda is taking some of the situation seriously. Who is stealing from people and what do they hope to gain? And how is this connected to the dead girl Elena? 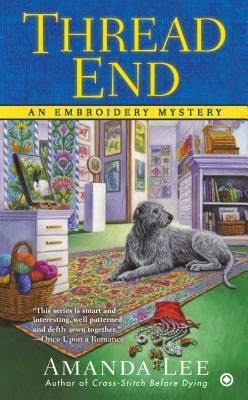 This book was so much fun with it's ups and downs, and finding out if Belinda and Bennett would stop running in circles around each other and just get on the same page. I loved this story it had so much going on. A nosy reporter, a stubborn matriarch grandmother, hidden secrets! 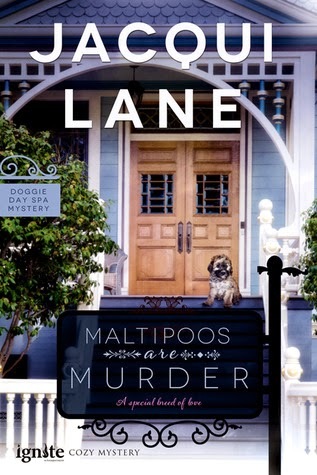 Definitely a great adventure for those who love cozy mysteries! 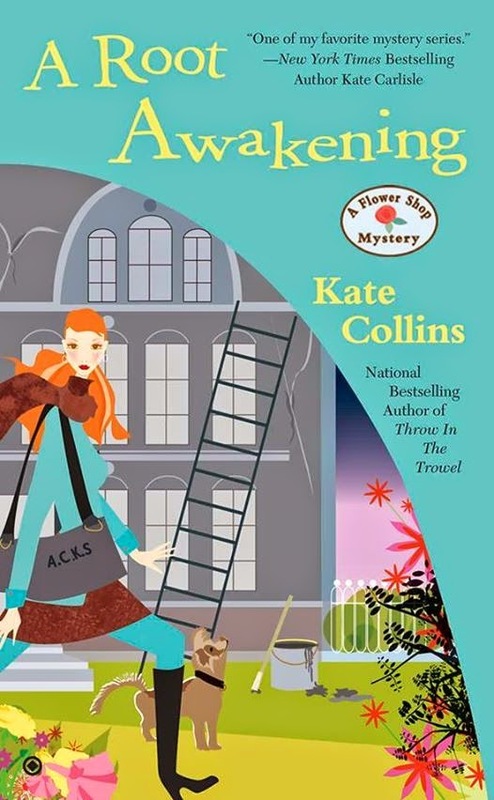 Abby and Marco’s exciting house hunt takes a dark turn and prompts a new murder investigation, when a painter’s fall from a ladder to his death is proven to be no accident. Which ones have you read? Are you looking forward to her newest book? Feel free to share in the comments below! This was cute little who screwed with DeeAnn Fields pie? She enters her pie into a contest and is devastated when she finds out that someone altered her with cumin instead of cinnamon. 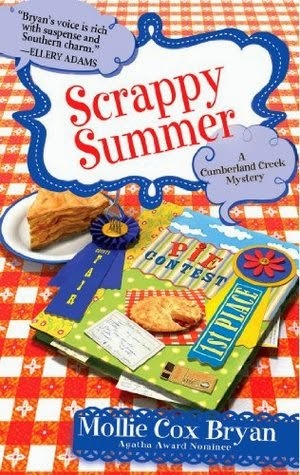 Her friends are quick to find out what is up and solve the mystery using a recreation method having DeeAnn take them through her day of baking the pie and find who put the cumin in the pie. Granted it was a small novella but I found it cute. I got this book with a gift card when I got my new nook so it was definitely worth the .99 purchase and I wasn't disappointed in the least. It seems like Sally Green has done a lot in her life except for writing-- she delivered newspapers, worked as a waitress while she was a student, worked as a bartender... Between 1985 and 2001, she worked as an accountant. This woman who's lived in the world of numbers and preferred movies to books even as a child attended creative writing classes at Open University in 2010 and then wrote Half Bad. I can only say WOW. 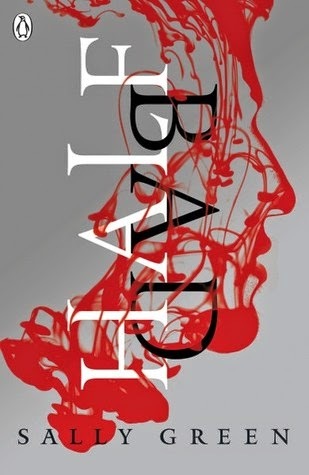 Viewed as a rival to Stephenie Meyer's Twilight, Half Bad is the story of an England where witches and "muggles" live together. (Green does NOT use this word by the way; I just didn't wanna say "regular people.") White Witches, as the name suggests, are the good witches. Black Witches, on the other hand, are the bad witches. Our main character Nathan is a mix of both; his mother is a White Witch, and his father Marcus is one of the most powerful Black Witches. The council can't tell whether he should be classified as a White or a Black Witch after their evaluations, and knowing who his father is, they're rather scared of him. This is because they think it's likely that he'll follow in his father's footsteps. This is why the 15-year-old Nathan finds himself at the hands of Celia, handcuffed and locked in a cage, waiting to turn 17 and receive his gift. Gift is a cute and happy word, but if these witches don't receive theirs, they die. I'm sure the world of witches is no stranger to most readers. Green must be aware of this because she wrote a story that even those who are familiar with witches can read in a single breath, use what they already know and still enjoy the excitement and suspense. First of all, our narrator being a male was refreshing for me because in YA, it's mostly females that tell their story. Also, there are obstacles in every story, yet what Green puts before Nathan are very, very dark, which makes you think about what he must be and will be feeling, how it'll all unravel. All through this, Nathan never seems to lose his sense of humor, which I guess is the only way he can hold on, and that makes you feel even more sorry for the poor thing. The book is filled with as much light as the darkness. More like a "there's light at the end of the tunnel" kind of story, really. There's a romance when Nathan falls in love with Annalise, and his relationship with his brother Arran was very, very touching; you'll know what I mean when you read it especially if you have a brother or sister. Killing is in Nathan's blood, and most believe that he was made to kill. We will see in the next installments whether he will give in to the urge or not. This was great to return to Old Town and see what everyone is up too. In this book Sophie Winston is getting ready for Christmas. At a Christmas party hosted by Horace Scroggins who ends up falling from his balcony with a dagger sticking out at him, he is rushed to the hospital to recover. Then there is the cookie exchange party hosted by Gwen Sophie's neighbor. Of course Natasha and Gwen end up in a heated fight, and not long after that Gwen is murdered and stuffed into Natasha's carriage house. There are so many secrets this Christmas season like who is related to whom? How will Sophie and pals figure out who had the most to gain with Gwen out of the way? And the mysterious Christmas letter listing lies and truths for the neighborhood to figure out. I really wish Sophie and Mars would get together but that may just be wishful thinking on my part. I like the relationship between the two and bring Wolf back into this book I just haven't figured out what to make of their new relationship. Can the two find friendship when the love had died out. Granted Sophie went beyond the extra mile for Wolf but can you just back peddle to friendship I'm not sure about. I love Nina she is hilarious the way she is always finding the juiciest gossip and helping Sophie with her sleuthing. I am a huge fan of Krista Davis she rocks at everything she turns her hand at! Can't wait to see what in next for Sophie and her friends! This is how I view reading books. To me, what makes reading magical is how the story unfolds even though the ending might be obvious. While reading The Rosie Project, the journey wasn't that interesting. There weren't any surprises. And the ending was way too obvious. 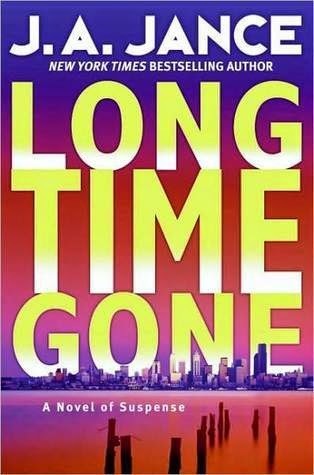 Don Tillman, the main character, suffers from a situation that I can only describe as Asperger's Syndrome, even though it's not at all mentioned in the book by this name. He has a "Wife Project" going on, in which he has come up with certain criteria for the woman who shall be his wife. He evaluates every women by the answers they give to the questionnaire he's prepared. One day, his best friend sends him a woman called Rosie, saying she's a candidate for the project. After their meeting and Rosie's answers to the "test," Don is sure Rosie is definitely NOT someone he'd like to marry. 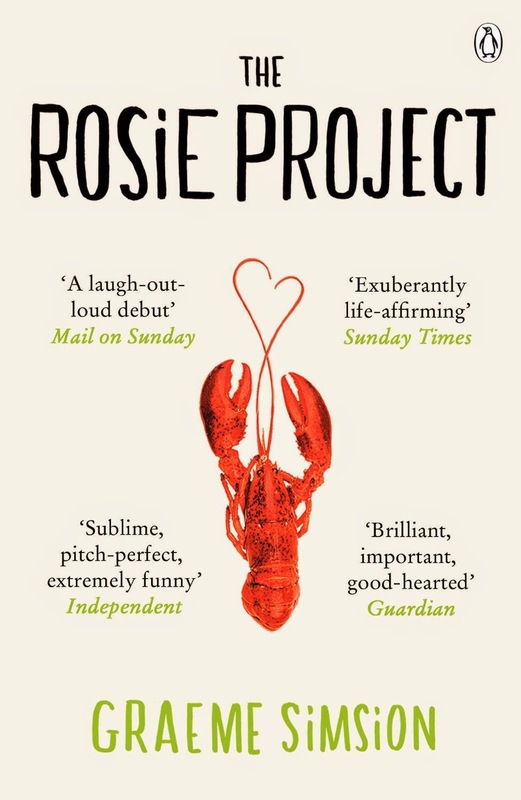 However, when he finds out that Rosie is trying to find out who her real father is, he decides to help her find him, which makes him start The Rosie Project. If you're looking for a cute, fast read for the summer, then I suggest you try out this book. But if you'd like to be surprised and swept off your feet, stay away from it. Marcy can’t wait to see the new exhibit at the Tallulah Falls museum on antique tapestries and textiles, including beautiful kilim rugs. But her enthusiasm quickly turns to terror when, the day after the exhibition opens, she discovers a dead body behind her store, the Seven-Year Stitch, wrapped up in a most unusual fashion. The victim appears to be a visiting art professor in town for the exhibit. Did someone decide to teach the professor a lesson, then attempt to sweep the evidence under the rug? Along with her boyfriend, Detective Ted Nash, Marcy must unravel an intricate tapestry of deception to find a desperate killer. 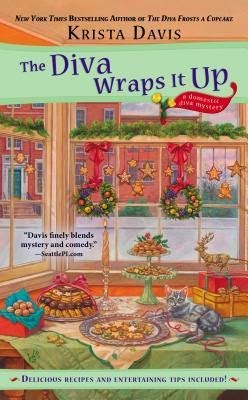 In this book we meet shop owner Marcy Singer who is getting ready for an exhibit at the museum with her boyfriend Detective Ted Nash, and their friends. The cops are on the lookout for a art thief who conveniently meets his demise not long after the exhibit. Marcy has the unfortunate ability to be the one who found the dead body, and no between Ted, Marcy and their close friends they are determined to find out who killed the victim? And what did they have to gain by committing murder? Add to this murder is also a theft in the museum and all fingers are pointing at the curator. Is the theft related to the murder and what is the connection between this and Mr. Cummings being around who previously had his art stolen by the victim or did he? This book was incredible with all the mystery described in this book. 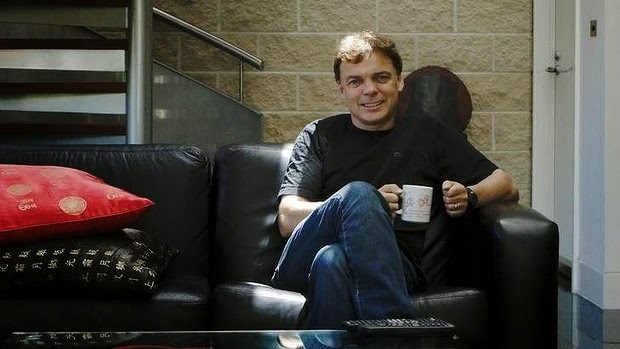 What is new to this type of cozy is having a theft and murder which makes people really want to know who's connected. With the help of George the son of the murder victim Marcy is able to figure out who killed the professor and why he stole a painting. 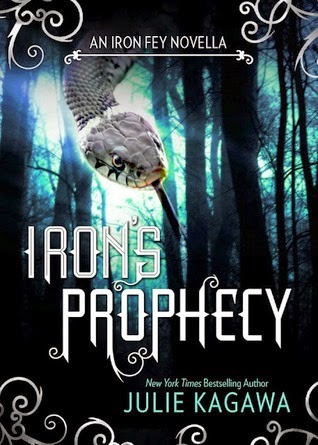 This book had so much going on it was great! 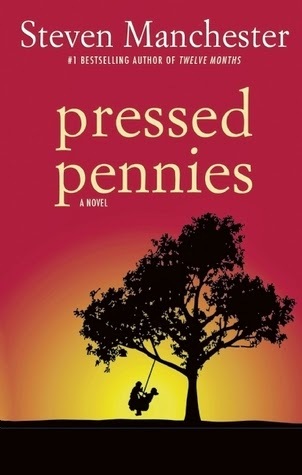 In this book like many others I've read the main character is having a dead person fall into their lap. This one is made harder as the main character Cara Rogers is having a really bad year. She moved to Virginia to help out her aunt with her doggy spa until Cara can fix her vet license and go back to D.C. to do what she does best care for animals. When she finds her great aunt dead in the pool it's up to Cara to push the cop in charge of the case Cole Sampson to investigate and not just assume old age did her Aunt Marian in. Right away you can sense the romance brewing between the two characters both unsure of where it will lead and being stubborn about even starting something. There are so many possible murderers from a local teen working in the spa who was misbehaving while at work. To angry pet parents as they are called in this book. Trying to find out who had the most to gain made this book addicting. I wasn't about to put it down it was so good and look forward to going back to Ms. Lane for future books to see how the residents are doing. I loved reading about the animals, their parents, and the community and how small and quaint it was especially the two couples that are mentioned Cara and Cole, and Cara's mom and J.D. a local attorney. They just remind me of the cute older couple running around together. Such a fun story. I was on facebook today checking on things and notice alot of people participate in Throwback Thursday which is things from long ago that you share or mention and decided to incorporate it here. So todays throwback will be my first post and Simay's first post when she joined us! Anna Dressed in Blood is the story of the 17-year-old ghost hunter, Theseus Cassius Lowood (I can't continue without mentioning that no matter how big a Shakespeare fan you are, you should never name your child this). When you read the synopsis, you can't help but hear this music in your head. Then you start reading, and it reads very much like a Supernatural episode. I love both these things, so, of course, I didn't have a problem with it. 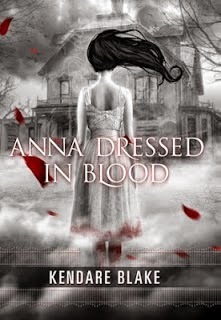 Anna Dress in Blood was different from the other YA books I've read in many aspects. First of all, I liked that the narrator was male. Everyone calls him Cas for short because he has an impossible name. His father was a ghost hunter, and one can say that Cas is carrying on the family business. His mother knows what he does, and she helps him out, which was another thing that made this book different than many others. I was quite glad that there was no "what if mom/dad finds out?" drama this time. Cas and his mother move from city to city, wherever the dangerous ghosts lead them. One day Cas goes after Anna Korlov's ghost. However, Anna isn't like the ghosts he's encountered before; she's not stuck in the moment of her death, unaware of what she's doing. In the end, as expected, Cas helps her get rid of the urge to kill, and they fall in love. I'm not sure how a human and ghost can be together really, but I have a feeling we will find out. My favorite part about the book was Cas being portrayed as a regular 17-year old. Unlike most main characters in YA, he's not the odd-one-out or the most popular, the most lusted-after. He uses a special knife to kill ghosts, and it comes up more often than I like. And sometimes the "am I in love?" parts seem to continue for too long, but overall it's an enjoyable, quick read. 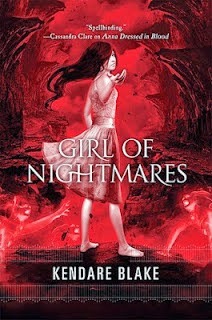 The next book in the series, Girl of Nightmares was released last month. I must admit I'm very curious about how Cas and Anna's relationship will continue, so I will be reading this one as well. Editorial: My Plans Oh Me Oh My! What is she thinking? Happy Monday to everyone I know let the groaning commence. Monday has got to be the most hated day of the week as people go to work and some kids still have school. Well I was reading other bloggers this weekend and noticed a theme which I am going to jump in on as well. Reading the t-b-r list that is growing to insane levels. What do you mean? You may be asking yourself what the heck am I talking about. Like every other blogger out there we find books we want to read so we quickly add it to the coveted to be read list. Well my list is insane I've got too many books and not enough days in the week to read them. This happens all year round and it seems to be getting vastly out of control. I'm sure others have lists just as bad. So this summer aside from a few book tours 2 in June 2 in July I am going to be focusing on my to be read list because I have the ones from NetGalley I want to read, then there are the reading apps you know which apps you are Barnes and Noble Nook, and Kindle. All total I would guess about 3,000 books all together then there are books that get sent to me for reviews. I'm sorry if I haven't gotten to your book yet I'm working on it. I want to be able at the end of the summer look back and looked at what I have been able to accomplish and be able to do a post about what I've read during the summer with total books and things like that so this summer will be playing catch up, because as many of you may know I got really sick this winter for like 3-4 months sick and really am regretting not being able to pick up a book then. I also have series, trilogies etc that I would like to finish and put behind me. Which ones you ask? Well the Crossed series by Allie Condie, The Goddess Test by Aimee Carter, books like those that I have the books in the trilogy but haven't gotten to them. This weekend I was able to catch up more with the Iron Fey which was great I swear Julie is the Goddess of Faeries. I also finished L. Filloon if you haven't read her trilogy you have to check them out they are so similar to Julie Kagawa's series just with Elves and not the Faeries. So that is my summer agenda what is yours? Feel free to share yours in the comments section I would love to see where everyone else is in their t-b-r list? And out of curiosity how many t-b-r's do you have? Meghan Chase is finally adjusting to being the Iron Queen with her knight by her side Ash when an Oracle appears to Meghan and warns of something that could destroy the courts to which Meghan, Ash and Puck team up again to find out what this Oracle is offering Meghan. I enjoyed going back to the Iron Fey and seeing what everyone is up too and how they are adjusting to their various roles. 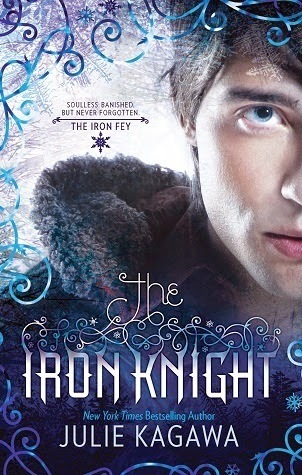 It was also great to be back with Meghan who only had a brief appearance in The Iron Knight! Keep up the good work Ms. Kagawa! In this book Ash is trying to fulfill a promise he made to his Queen Meghan Chase to find a way to be at her side. Along the way he picks up Puck, Grim (the cat), The Big Bad Wolf and a special friend we finally get to meet. We also learn alot about what Ash has gone through when he was with the Winter Court and the things he's done. He ends up going through many challenges where he has to face alot of crap he's put others through and how's he has to face the consequences of what he did how he treated people. I loved watching Ash and Puck, but primarily Ash handle everything he has learned and the decisions he's made to get back to Meghan. I really love this series and think it was great Ms. Kagawa gave Ash his own book so we can learn more about him.